Another rocking Hello Thursday and there are some fabulous cartridges being released this month! This new cartridge from Close To My Heart Stamp Company is packed full of goodies (as seen above) - it also comes with fonts, tags and more. Best of all, there are coordinating stamps when you purchase the Art Philosophy cartridge, as well as even more of them available in their catalog. It's pretty impressive! And don't worry because they tell you the sizing of the cuts to match the stamps! Fun, fun! Melanie is a Close to My Heart rep and she will be taking orders for this cartridge starting August 1. We will give you all the details as we get closer to the release date. 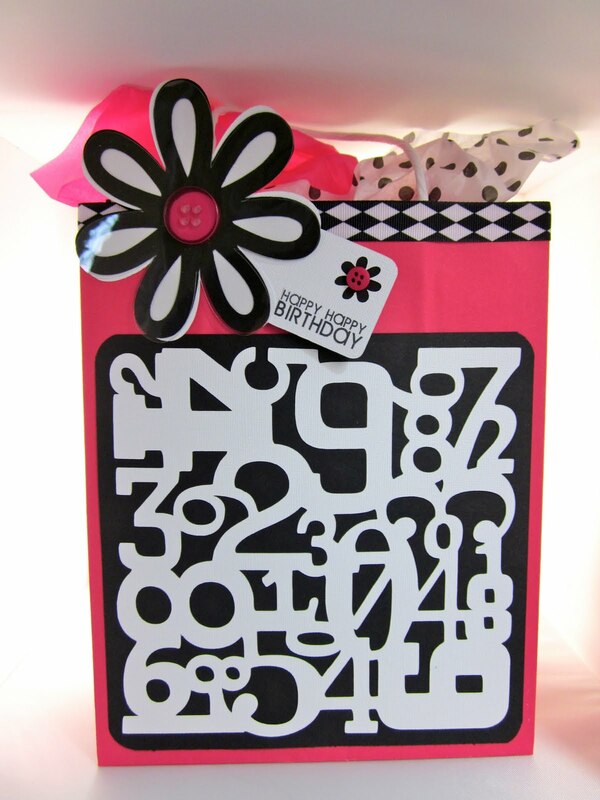 Below is a gift bag I made using the cartridge - the flower, number collage and the tag are all from the cartridge. Paper by Core'dinations. Ribbon from Michaels. This cartridge comes with two outstanding fonts as well. 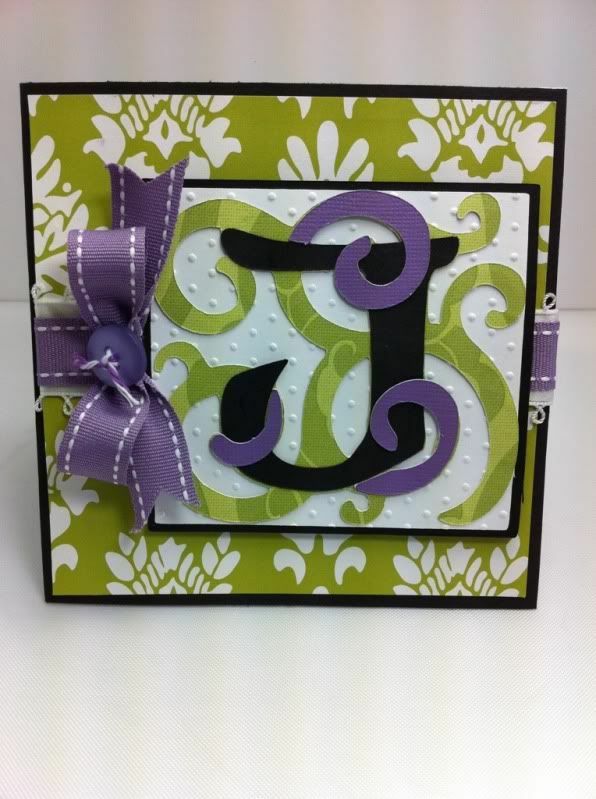 I decided to cut one of them for my project below (letter cut at 2-1/2") to make a monogram "J" card. I love the swirly bits! Paper by American Crafts, K&Co. and Core'dinations. 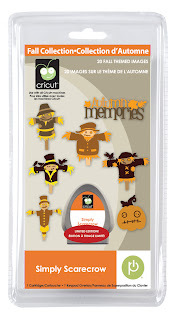 This is the new Cricut Circle cartridge for the first quarter of the new year. (People who join now may not get this cartridge - check above link for details). It has three sets of cards (one set is shaped, one has cutouts along the edge and one has decorative edges) plus a set of bookmarks and more. It really is gorgeous! 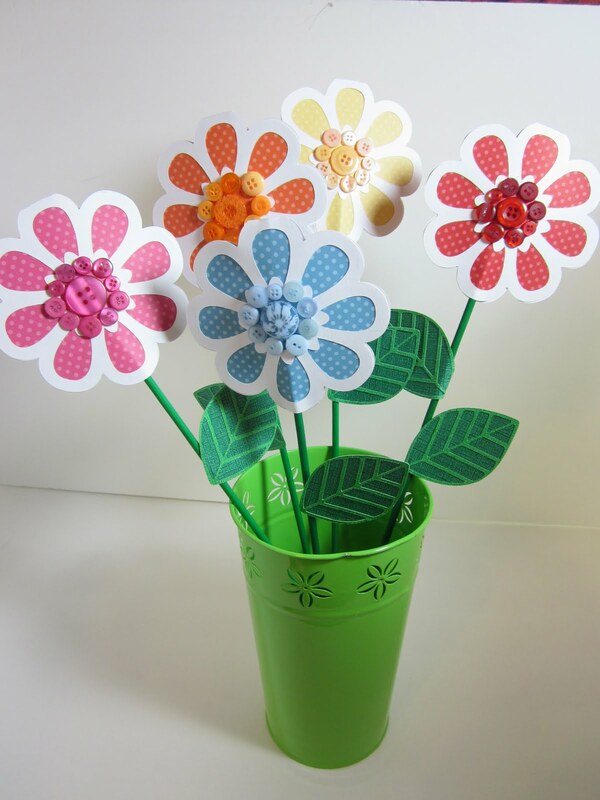 The flower bouquet below is made from a set of flower shaped cards. Paper by Bo Bunny and Core'dinations. This cartridge has a whole key of shaped cards and guess what? They all layer perfectly (finally)! Card base, shadow and all layers are all cut at 7" and fit on top of one another exactly. The card measures 7" tall. The "cheer up" sentiment is from My Creative Time - I am giving away a set of these (see below in giveaway section). Glitter paper by DCWV and striped paper by Anna Griffin. 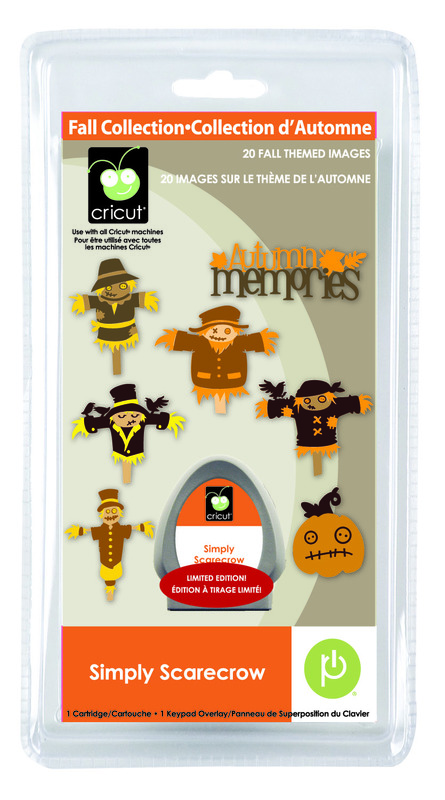 This is a seasonal cartridge that has a lot of fun autumn images. I wasn't sold on it initially, but as I started working with it, I really loved how it came together. I will tell you that I double layered things by cutting two layers and off setting one of them so it had more dimension. You can see the beige outline around the scarecrow and the "fall". This is a trick I learned from the fabulous Monique Griffith! To see more projects made with these cartridges, head over to my BFF Melanie's site, Courtney Lane Designs. Today's birthday giveaway is the Winter Frolic Cartridge! 1) Leave a comment below telling which new cartridge you like best (see HERE on how to leave a comment; if you get this in email form, you need to click on the email title to get to the blog itself and then leave a comment). Winners announced on Sunday, July 31, 2011. Winners have 2 weeks to claim their prize. I'm drooling over the 1st 2 carts! They would work amazing for creating wedding and party favors! My Christmas list is really growing! Awesome cartridges, I wold love them all. I love all cartridges. I'am also a CTMH consultant. 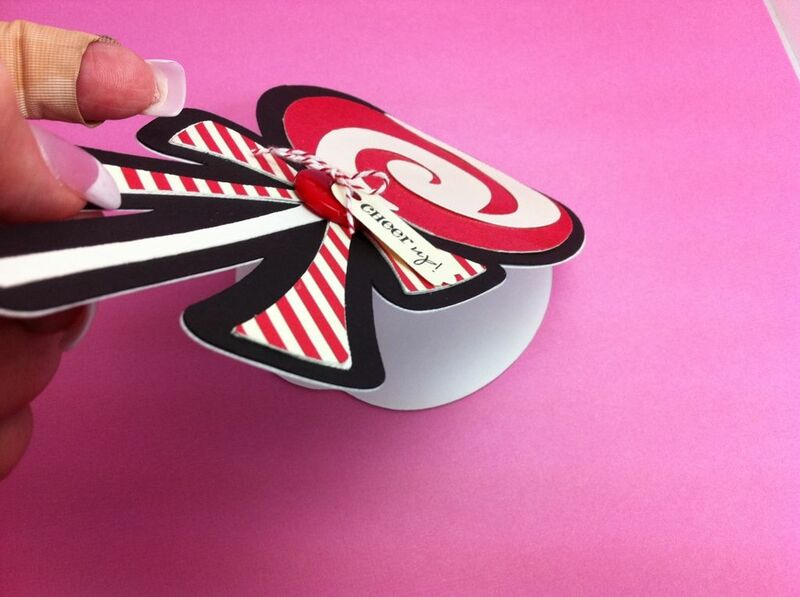 I love the fowers and the lollipop card. SO ADORABLE. LOVE IT. Super cute creations!! Thanks for sharing them with us!! Fabulous, love all your cards, but my favorite is the Fall card, so many details and love the colors. OMG! My fave cartridges are two first one. They are gorgeous. i want the seasonal cartridge cant wait!!!! oh, i have to - really, I must have those! Yay, this birthday giveaway is the best ever! I LOVE the something to celebrate cartridge! I hope i get picked for one of the giveaways! When can I get and where those new carts! Great new carts! 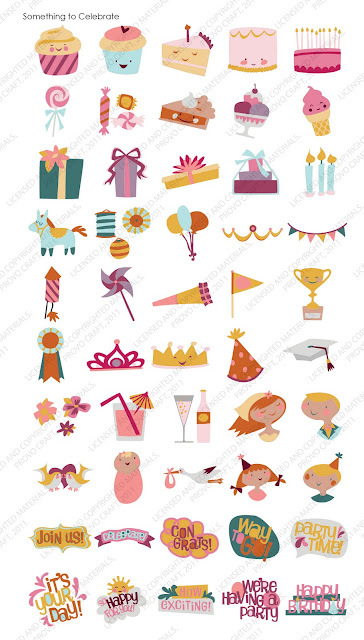 Thanks for offering the prizes for YOUR birthday! Fun fun! Love what you've done with these new cartridges. 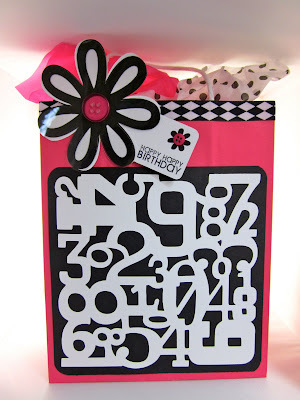 I especially love the bag from the CTMH cart and the lollipop card - so cute! Thanks for working so hard to show off these new products so fabulously. Art Philosophy is amazing! I don't know any CTMH demos but I may have to find one! Also, so wishing I was a circle member, would love to get the Sophie cart. The Close to my Heart 3-D flowers are sooo gorgeous!!! I like the Art Philosophy cartridge. Hey guys for anyone looking for a close to my heart consultant I am here. Please let me know we start taking orders Aug 1 and order fast so they don't get put on back order. If you want to contact me dlbarney@liberty.edu. I like the Art Philosophy cartridge, it reminds me of Paper Lace and Lacy Label carts and possibly others. Love all the 3-d objects they included. For me, almost like a Best Of cart. It seems like ProvoCraft is overlapping their images more and more. 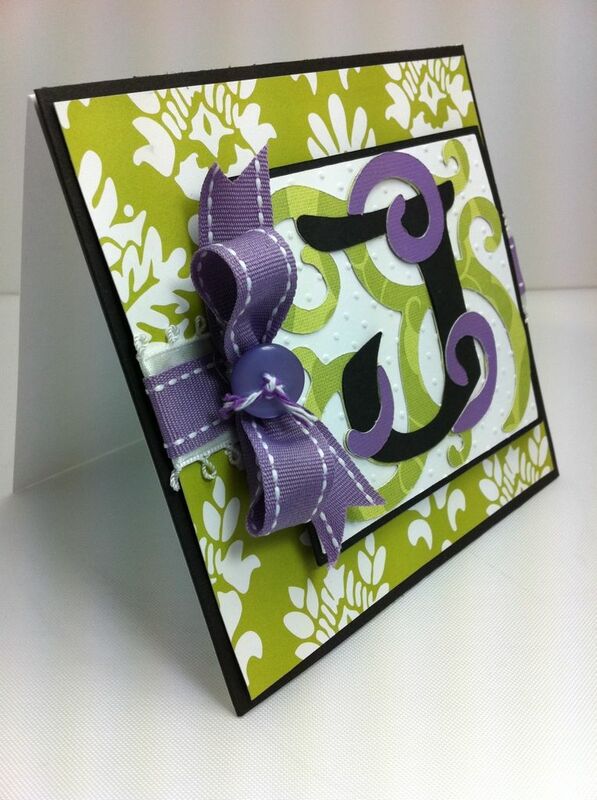 Your projects are all beautiful!--Pat N.
I am so happy with the Circle cartridge this quarter... woo hoo! I truly like them all, but I think the first one I will purchase will be the Something to Celebrate, sooo cute!! Love these cartridges. I can see many uses for them all(there goes the wallet again). Thanks for sharing your ideas. oh I love your projects!!!!!! 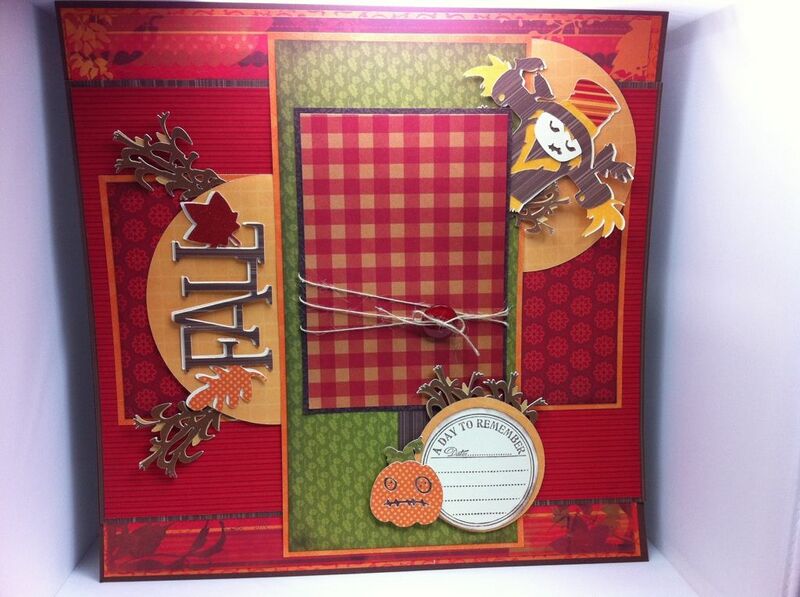 I just love this scrapbook LO. The papers you used are so vibrant. The designs are great and the cartridges are just wonderful. Lovin' the scarecrow cart and the project. Wow! These cartridges are too cute. Gets the imagination going. I love the designs and the scarecrow card is really fun. I would love to get one of the carts, at least one. Love to follow your projects. What adorable projects. I especially love that gift bag! I always look at the cartridges and say, "I don't really need that one" until I see your projects and then I think " I really need that one!" You enabler you! I definitely like Sophie the best! It's my dogs name, too! thank you for sharing your projects! Super projects! I like Something to Celebrate the best! I love everything you do. This cartridge is so fun. It's been on my must have list for a quite a while...though, to be honest, that list is quite long! Thanks for the prize opportunity. Art Nouveau goes straight to the top of my list, it is a style that I love. 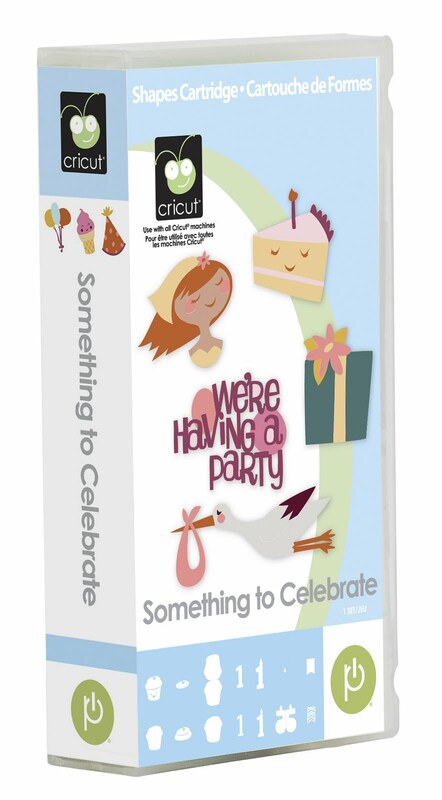 I like the Something to Celebrate cart, the possibilities seem endless. I love the Art Nouveau cartridge! I'm so excited! Must go find it. Love the carts and your projects! My fave is the Sophie cart! It's going to be hard to know which cartridge I have to get first they are all great. My favorite cartridge is Sophie! the first two intrigue me the most. I just llllllllllllllloooooooooooooovvvvvvvvvveeeeeeeeeeeeeeeee ART Nouveau!!! The Something to Celebrate cart kin of looks like the Smiley face cart!! All the carts look fantastic!! Love what you've done with all the new carts. Even tho there are very similar things on other carts it gives us the creative edge to replicate your ideas...thanks always for your fantastic creativity..and your dedication. OOPS!! I forgot to mention my fav cart and it is Simply Scarecrows it is so darn cute and love your LO...your ideas abound so goody for all of us that they do...thanks too for the opportunity to win an awesome stamp set. It looks like I have three more to add to my every growing list! Love coming to your blog for Hello Thursday, you and Melanie make the best projects! Winter Frolic is on my list and I need it so it would awesome to win! Thanks for the chance! Wow ... some really cute carts!! TFC! My favoite is Sophie.I can think of lots of hings to try with Sophie. Great job! I am in love with the Art Nouveau cartridge...This was an amazing release! Happy Bday! 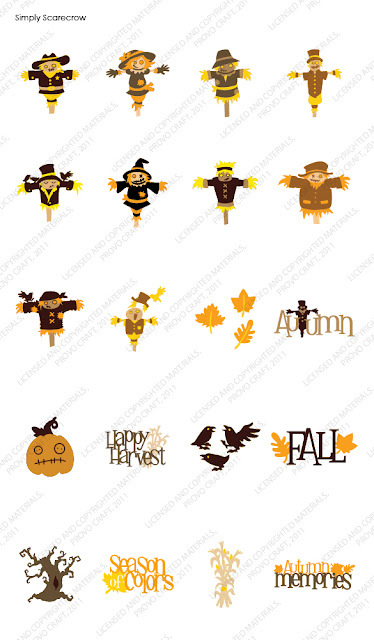 My favorite of the new releases is the Sophie cartridge but, I really love your Fall layout using the scarecrow one. TFS and for the chance to win! Love, Love, Love Sophie. I love the swirls and flowers. Oh what cute projects you could make. I like Close to My Heart because of the details and the 3D objects. I subscribe to your blog--lucky me! I LOVE ALL the new cartridges. So difficult to choose, but if I had to choose I would pick the something to celebrate cartridge. I make tons of birthday/baby cards, and I think I would get the most use out of this cartridge! I'm a loyal subscriber to your blog! 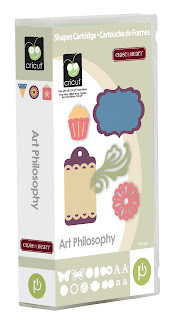 I am very thrilled with the Art Philosophy cartridge from CTMH. The intoduction package is a great buy. My cartridge will be here August 3. I love it when they come out with the new cartridge. It is always so delightful to see what you and Mel come up with ~ always a treat. I think my favorites are Sophie and Art Nouveau. They all look pretty cute, can't wait to see more of them. Philosophy is my FAVORITE. I can just see so much to be created with this cart. Art Philosophy is my favorite. I can't wait to see what everyone does with it! Thanks so much for sharing! Oh my I really HAVE to have that close to my heart cart. The 3-D items are amazing!! 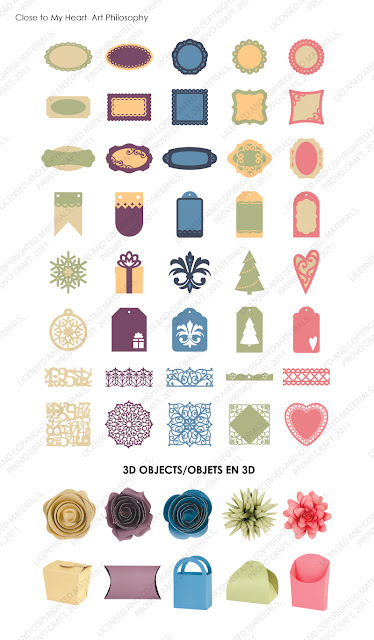 I like the Art Philosophy one and would love to see a demo of how to make those 3D flowers. So many to choose from! Such gorgeous cuts and 3D art in the Sophie, Nouveau and Art Philosophy! Love the Something to Celebrate and Scarecrows!!! Guess the 105 degree heat has me thinking of Fall! Thanks for sharing and for the opportunity!!! Beautiful! Most of all I am in love with the flowers. The Something to Celebrate cartridge is adorable! These cartridges are so cute, my favorite is Something to Celebrate. Thanks for sharing the technique regarding the shadowing. Your tips are very helpful. My favorite is Simlply Scarecrow. Fall is my favorite season and this cartridge is getting me so excited for the upcoming season. The flowers are great! The gift bag is amazing! Keep up all the inspiration! Love your fall page! Beautiful! I love the scarecrow cart. I love love all your ideas! Thnx for all. I would love to win Sophie or Something to Celebrate! Wow! those are such amazing cartridges! You are having such a celebration for you birthday but we're the one's getting all the goodies!! I hope you are having a great week. My favorite is Art Nouveau - I love fonts on a cartridge! Then Sophie, then Art Philosophy. Hope your birthday week has been as fabulous for you as it has been for your followers. Thanks, Joy, for all you do and giveaway! Love the new cartridges! especially the fall one with the girl scarecrow! what a great idea!! thank you for all the giveaways you offer! I LOVE the Art Philosophy the most. I would really love to be able to get the Sophie one, but it's only to Cricut Circle Members. :( I will be getting the Art Philosophy one though !! My favorite is Sophie...not a Circle member, but going to explore to see if I can join and the cart. I love all the proje ts you made. Thanks for the inspirations. My fave will be CTMH art philosophy. So glad I'm in the Circle! Can't wait to get Sophie!!! What great projects! Hard choice on the favorite cartridge, but I think I'll choose Art Philosophy as my favorite. Thanks for the ideas! Well, that Art Philosophy must be my favorite! I love that CTMH has partnered with Cricut to do this. The flowers project is absolutely darling. Thanks for this opportunity to win! I am in LOVE with Sopie and cannot wait for it to arrive. 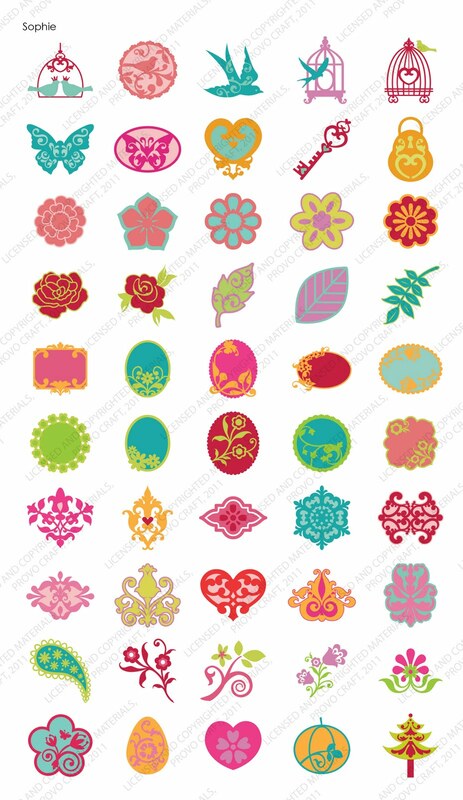 The flowers are cute and will be great for cards and LOS. The Art Nouveau is gorgeous, too, and I also like all of the rest. What's a girl to do! I'm lovin' the Art Nouveau cartridge! I think I'd like the different style of beautiful women images. 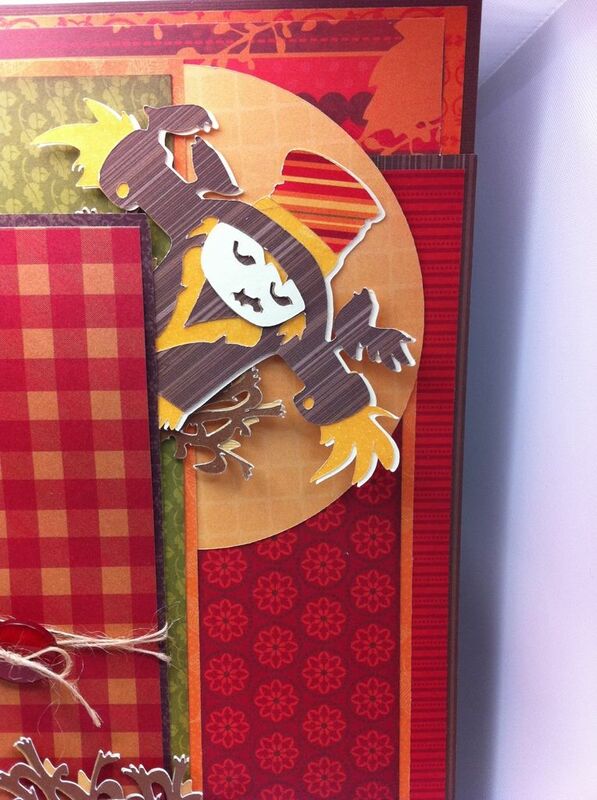 I wasn't too impressed with the Simply Scarecrow either, but your card is BEAUTIFUL!! HAPPY BIRTHDAY!!! and Thanks for sharing the LOVE!! i like the sophie and the scarecrow carts. tfs all your projects. my favorite is Simply Scarecrow! I really like the something to celebrate cartridge. I think there is a lot in there that I can use. Love your projects! I think my favorite cartridge is Art Philosophy. I really like the frames in that one. This is a very difficult one to pick. 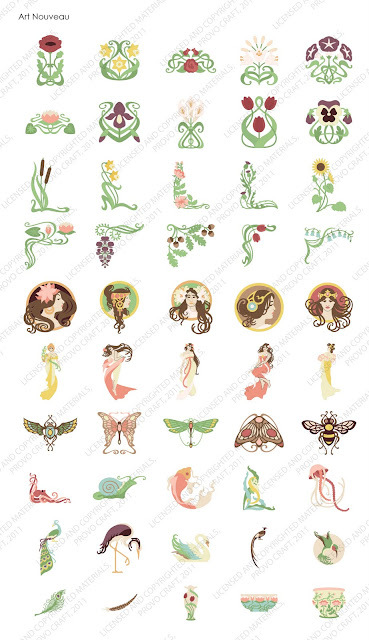 I love all the carts, I guess the one that stands out for me is Art Nouveau which reminds me so much of my Mom. That would have been her "go-to" cart. Thank you for all your hard work and providing me with daily inspiration! My favorite is the Art Philosophy Cartridge. I searched high and low for information on it. Thanks for a chance to win a cartridge!! Happy Birthday week!!! Love the new carts! Thanks for a great week of giveaways and Happy Birthday WEEK! Thanks for sharing and all your great tips and inspiration. I LOVE the Art Philosophy cartridge for all those beautiful shapes that can be used as layers! I recently bought some Nestabilities, but that would eliminate the need to purchase more! You do make all the cartridges look great, even the one I like the least - the Scarecrow! You're so creative to make THAT look good to me! Thanks for the chance at the cartridge! So pretty - love all the new releases!!! 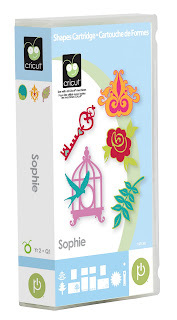 Can't wait to get Sophie - and so glad I'm part of the Cricut Circle!!! It is very hard to decide which is my favorite cartridge! They all are so great! Since I do have to choose, my favorite is "Something to Celebrate". I would love to win this giveaway, please enter me. I wasn't so sure about the Scarecrow cart, but I do like your layout. how in the world do you keep up with all the cool cartridges?? You must lay awake at night coming up with all the great ideas! Well this is hard...I'm getting Sophie (circle member) but I'd have to say, Art Nouveau would be the next on my list...your projects are just adorable! Thanks for sharing and a chance to win. Thank you so much for giving samples and tips on the new cartridges, it makes a difference on my decision. My favorite cartridge is Art Philosophy, it just has so many beautiful images. Thank you for all the great giveaways! I wish I was still in the circle because I love Sophie!! Thanks for the chance to win! I love the scarecrow l/o!! ARt Nouveau and Art Philosophy are tied for first but, if I were a Circle member, I'd jump on Sophie! I think the Scarecrow is my favorite with Sophie a close second. However, they are all great. Looks like some great new releases coming in August. Can't wait. Thanks for the chance to win the Winter Frolic cart, its so cute. These have to be my favorite thus far...loving the Sophia the most. My favorite is Sophie but your scarecrow card is absolutely awesome! Art Philosophy is so beautiful. I thought I had enough cartridge, but I guess I can make room for more! Love your projects for the new release. I can not wait for Sophie. Thanks for the chance to win Winter Frolic. But your give-away is awesome.. I really love that scarecrow one! Fall is my favorite holiday and I know I could make some super cute projects with it. I like the CTMH Art Philosophy the best. The cost is a little overwhelming though. Everything is so cute! I really like the flowers in the pot. Thanks for the chance to win! My favorite cartridge out of the bunch is Sophie! New follower on gfc. I must get the CTMH Art Philosophy cart. My favorite. So wonderful. Beautiful projects--LOVE those scarecrows--so cute! Thanks for the chance to win! I always love to see your projects! So very creative! Winter Frolic sure would feel good on a hot July day. Thanks so much for the chance to win. Love all the projects. LOVE LOVE Art Philosophy!!! How can I choose which one I like best? It's like choosing which child you like best! But if I have to pick just one, I'd pick the Close To My Heart Art Philosophy. Love Winter Folic. I could make a ton of christmas cards with that one. Wonderful projects! I love your scarecrow layout and am glad it all come together for you. Looks great to me! As for the new cartridges, I LOVE Something to Celebrate!! That's now moved to the top of my wish list! would love a new cart! Awesome giveaway! Close to My Heart caught my attention with the 3-D flowers, boxes, doilies, etc- a variety that I don't yet have. This is so exciting!! Can't wait for the 31st to see if I won anything...lol. I just love these goodies. Good luck to everyone. Oh, I love them all, but I really like "Something to Celebrate". Too cute! Happy Birthday! Thanks for the chance to win! Love your projects made with the new carts. This is the best release - I want them all! I LOVE the Scarecrow cart! I'm in Dallas and Fall is my favorite season and it's so beautiful here in the Fall! 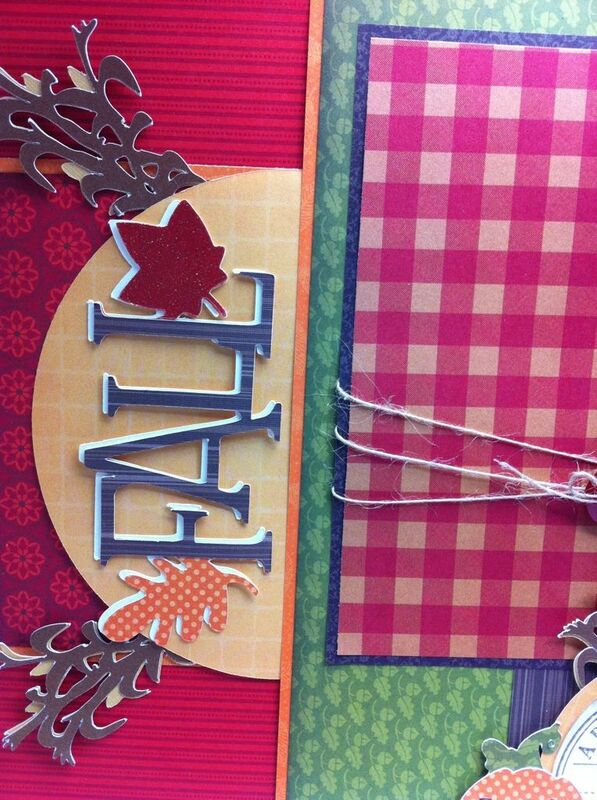 I'm always looking for fun accents for my Fall, football, Thanksgiving, camping pages. Love the Winter Frolic cartridge for the "family snow trip" scrapbook pages. Live in Southern California and we make special trips to the mountains during winter to enjoy the snow. Thank you for the wonderful week of giveaways! I love..LOVE..Love! the Sophie cartridge. 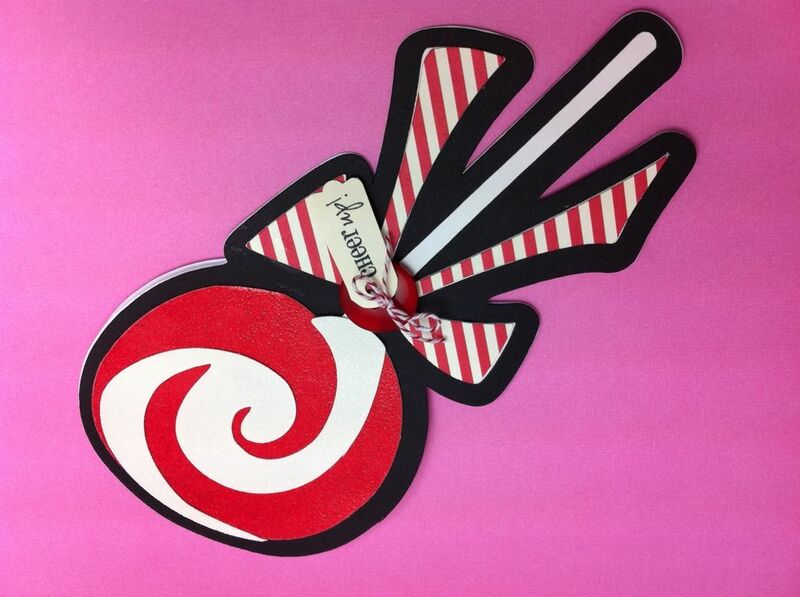 That lollipop card is just darling, my FAV so far! I LOVE LOVE LOVE the Art Philosophy cartridge!!!!! Great releases this month! CTMH cart if my FAVORITE! Art Nov. is my 2nd fave. Going to see where I can get it on sale. I like the Art Philosophy cartridge the best. It looks like it has many possibilities for it. I will go with Art Philosophy cartridge. I love that one. I am super excited about the CTMH cartridge. The catalogue shows some of the great projects that can be made. It has a bit of everything! The cartridge that you are giving away has adorable little people on it. Thanks for all of the chances to win something for YOUR birthday! I think Art Philosophy would make great cards-like Paper Lace. Noted the bandage on the finger on the CHeer up card-hope it heals well. I am amazed every time I see these new cartridges! So much imagination...so much fun! I just LOVE the Art Nouveau cartridge! While I love ALL the new cartridges, I have to say my favorite is the Art Nouveau cart. I just love the "grownup" designs on this one! Thanks for sharing. I sure enjoy being a follower! I the Art Philosophy cartridge. They all are pretty fantastic I must have to say! I love the card you made - and the gift bag. Great ideas. Thanks for the chance to win! My two favorite is the Close To My Hear Art Philosophy and Art Noveau, but the CTMH is my Most favorite. lol Thanks for the giveaway! Great new cartridges. My favorite is the Art Philosophy. I like Sophie also, but I am not a Circle member. I just love all the new cartridges. Thanks for the tip about layering for extra dimension. OMG - so many great new carts! 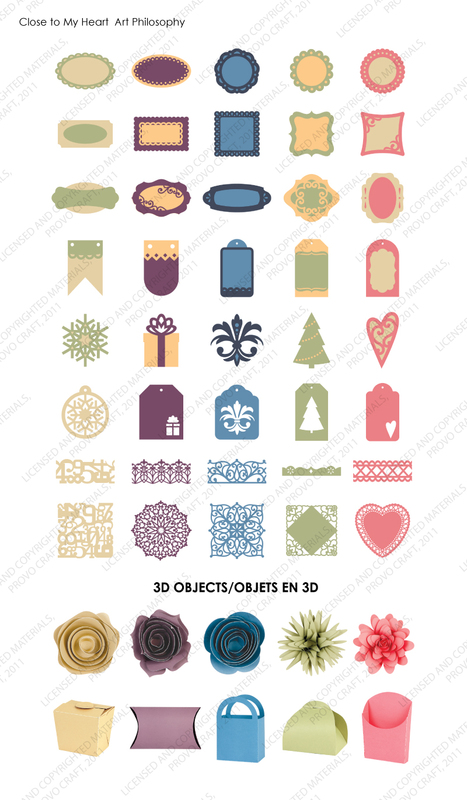 I have to say the CTMH is my favorite - all those borders and doilies and 3D - yay! Then would come the Art Nouveau with all of its sweet images! Love these 2 and definitely going to have to get them :) Thanks for the chance to win the Winter Frolic - another one i have been wanting! My fave is Sophie, but I am not a circle member, but the one being sold by CTMH is a close second! I was immediately drawn to the Fall cartridges. Luv autumn colors. Since I already have so many fall themed embellishments I thought I could really use the Something to Celebrate cartridge. However, I think I'm going to vote for the Art Nouveau because it is SO out of my element. Not to mention I luv the butterflies on that cartridge. So Art Nouveau it is. :-) Hope you are enjoying your birthday! Love the Sophie cart (but not a Circle member either!) and the Art Nouveau. How can you choose between the two?? art nouveau is so unique. I love it. I think it is about time I treat myself to a new cart ...problem is ..which one ?? ?Absolutely LOVE the 1st 2 carts and all of your projects are just awesome using them. 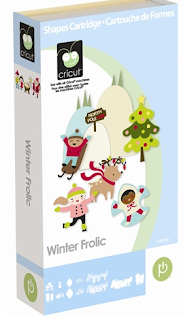 And the Winter Frolic cart is adorable !...Will need to add that to my list too!...thanks for the chance to win ! All the cartridges are fabulous, but if I HAVE to chose one it is the Art Nouveau. Love that frilly girly stuff (grin) Thank you and Happy Birthday Week!! I would give up almost anything, including CHOCOLATE!, to have the Art Nouveau cartridge. Thanks for the chance to win. 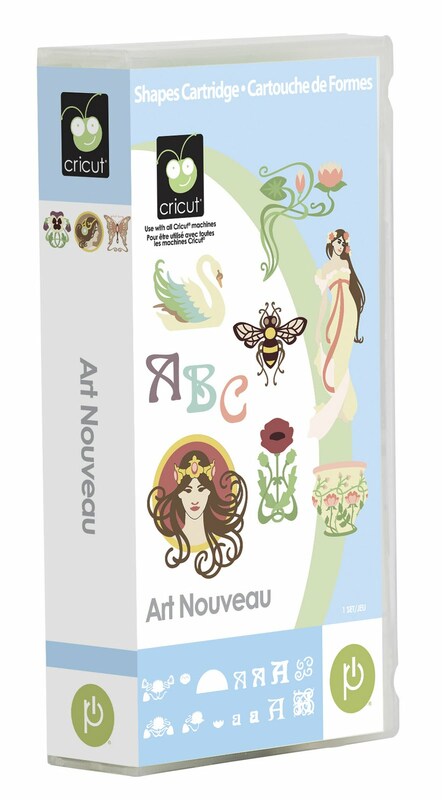 Art Nouveau is by far my favorite-a must have for me!! I am on the pre-order list for he CTMH catridge. I love those 3D flower cuts! So cute. But I have to admit that scarecrow catridge is just darling. I will definitely be getting that one too! Love all that you did with the new carts! Love the offset layering tip! These are just adorable, but I like Sophie cartridge! Love your projects. These look like great new cartridges. Can't wait till they get into the stores. I like the CTMH cartridge best--great concept of coordinating stamps and cricut cuts. Hope to win the Winter Frolic cartridge. Wow your projects just showcase these new cart amazingly! Great job! TFS! Love them all but if I had to pick two it would be Sophie and the scarecrow. Sophie has many ways to use it and scarecrow as Fall is one of my favorite seasons. I'm having trouble deciding whither I like Art Philosophy or Art Nouveau the best. I'm leaning more toward Art Nouveau. My favorite is Sophie. I am so glad I am a Circle member. Can't wait to get this new cartridge.